Back when I covered Fleetwood Mac’s album Penguin, I bemoaned the fact that I had none of their records with the Buckingham/Nicks incarnation. But that was before I moved Max’s box and took a look at the cassette tape collection that I had disregarded, and that now I am totally appreciating. Lo and behold, there was Rumors. This was not the first album they released with this group of people, for which they will always be remembered. The old Fleetwood and Mac, Mick Fleetwood and John and Christie McVie (when did she become Christine? ), plus the duo of Lindsey Buckingham and Stevie Nicks, release a self-titled album two years prior in 1975, which was Fleetwood Mac’s second self-titled album. Very telling, don’t you think? And quite bold. The first album had some really good stuff on it too, but they were just building to the splash Rumors would make. Splash may be somewhat of an understatement, cause this album was freakin’ monumental. Perhaps that’s why I’ve been putting off writing this article. Yes, I confess, I have exercised to Rumors before and didn’t tell you. But I’ve been playing it quite a bit over the past few days and it deserves more research and info than I’m willing to do and present. I don’t want to go into the personal lives or personalities of the artist(s) (Now before you object, Paul McCartney is different. He is after all the major influence on this whole thing.) And Fleetwood Mac is so full of behind the scenes drama, which only seemed to add to the great music and incredible songs they’ve produced. 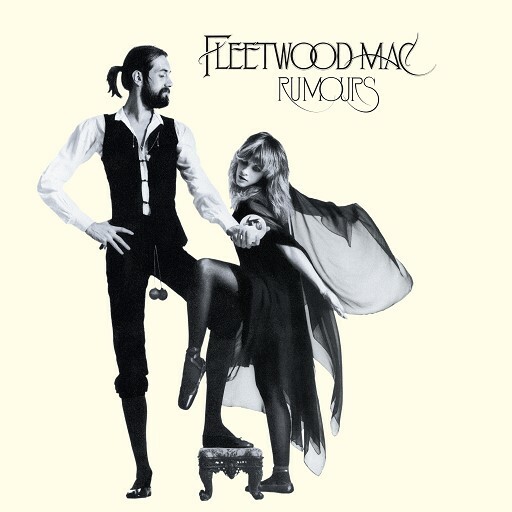 I was more into the Buckingham or Nicks songs on Rumors, and Nicks’ stuff on this and the preceding album is phenomenal. (Don’t worry, I will get to Lindsey Buckingham). Her music, her voice, her looks and her style – how could she not get the recognition she did. Trouble was, and I may have mentioned this before when we worked out to Walter Egan, for the next few years she was all over the place. There she was, backing up this person or dueting with Petty and Henley. Anyway, you’d turn on the radio and hear Stevie Nicks’ voice quite often. I don’t know about you, but I was finding it irksome. It must have been a big kick for her, and I’m sure I’d be doing the same thing with that level of talent and popularity, but for me, it got really annoying. I’ve since gotten over it. We’re going to have to continue with Fleetwood Mac later. Which is fine, because they are providing me with a decent workout to some fine music.